The luxury SUV segment is one of the fastest-growing in the car industry. People love having a larger vehicle that still offers excellent fuel efficiency combined with style and sophistication. Although you can choose from a broad range of possibilities, there is no question owning a Porsche is the ultimate goal. When you visit the right dealership near Waggaman, LA, you will discover two tremendous options, both affordably priced. Drivers of the Cayenne love the power this luxury SUV offers but without compromising on handling or performance. For even more power, you can always upgrade to the 3.6-liter V6 that produces 300 horsepower and 295 pound-feet of torque. Available in Base, Platinum Edition, S, GTS, Turbo, and Turbo S trims, you will have no problem finding one that matches your needs perfectly. Even on the base trim, the volume and caliber of standard features will leave you speechless. This trim boasts 18-inch alloy wheels, leather upholstery, Bluetooth and USB integration, GPS, built-in charging stations, and heated side mirrors. Some of the other benefits of buying this luxury SUV trim include a premium Bose audio system with 10 speakers, brake torque-vectoring, and electronic locking rear differential, plus a lot more. The 2018 Macan is a practical choice that provides a luxurious driving experience. A sporty suspension with the optional adaptive dampers puts this luxury SUV at the top of its class. If you want a vehicle with excellent fuel economy, you can stick with the four-cylinder engine. However, if you appreciate a more powerful SUV, select the twin-turbo V6 with a whopping 440 horsepower. As with the Cayenne, the Macan luxury SUV comes in six trims, including the Base, S, Sport Edition, GTS, Turbo, and Turbo with the Performance Package. Although somewhat sportier in appearance and handling, the new Macan still boasts high-end features and design elements. For the best ride of your life, go for the upper trim level. You can choose from 13 beautiful exterior colors that complement the leather upholstery and real wood panel inserts on the interior. 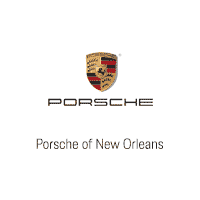 When you shop at Porsche of New Orleans in Metairie, a short distance from Waggaman, LA, one of our seasoned salespeople will help you find the perfect SUV. Call or visit us today to start the buying adventure.